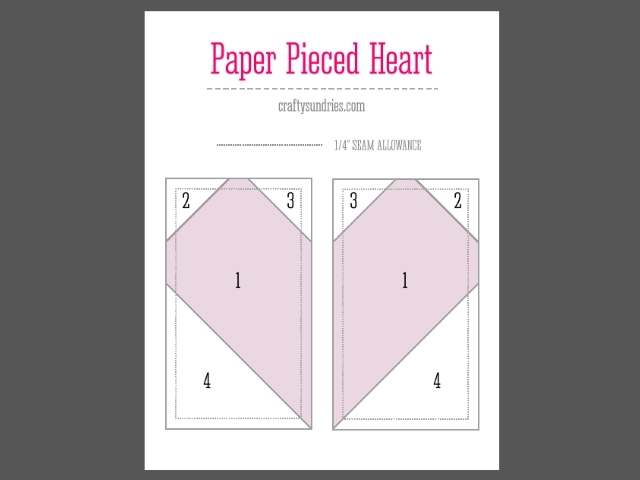 Paper piecing is one of those skills that can be a bit tricky to pick up, but once you do, you realize how easy it is. It’s basically building a quilt block on top of a piece of paper that has the pattern printed on it. By going in order, you can put together intricate patterns. 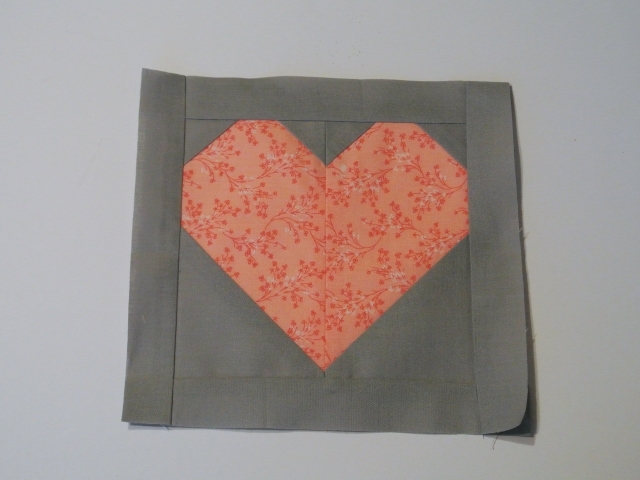 This is far from an intricate pattern, but it is great for practicing the basics and perfect for Valentine’s Day. When finished it makes a 6″ by 6″ block. I added a 1″ sash around it, which turned it into an 8″ by 8″ block. I haven’t fully decided, but I think that I will turn it into a little pillow. 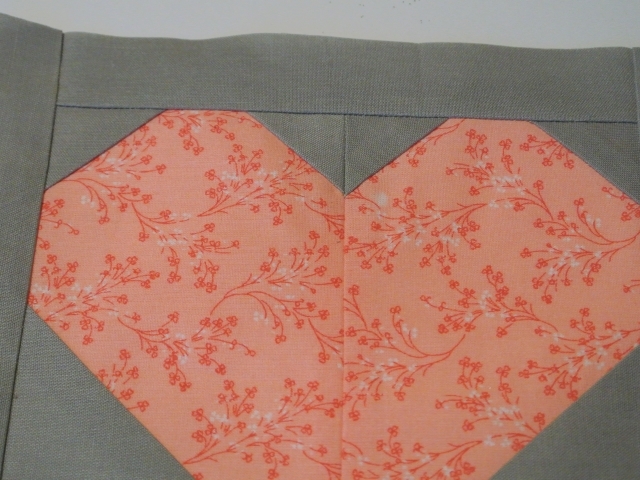 This entry was posted in crafty, holiday-crafting, quilting, sewing and tagged beginner, fabric, free, paper piecing, pattern, Quilt, quilting, Sewing.